One other thing I love it to eat, I’m very picky though, but when I started to like a specific food/meal, I don’t get tired of eating them often. I love apples, especially the Fuji Apple. Since I was in the Philippines the only apple I often eat is Fuji, I do find it very scrumptious, sweet, and juicy. I tried different variety but just not well for my taste bud. This is the first time, I have eaten apple pie, and being here in the USA for 5 years, I am way too picky to eat apple pie. I always thought it might be sour or very sweet. One Sunday Dinner my pretty and sweet Mother in law made us a scrumptious desert. 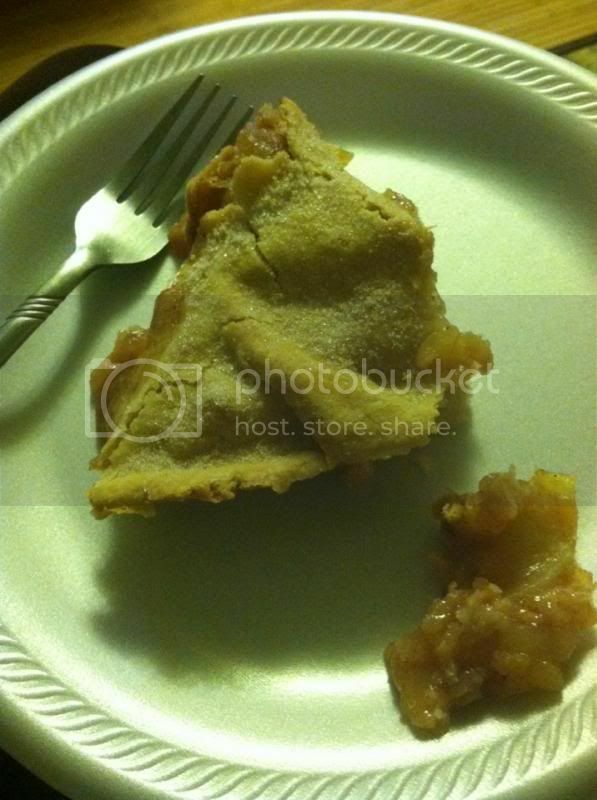 I was a little bit hesitant as she’s been making this pie before, and that time I finally tried a pie. I love it! I get addicted and I would like to try to make my own apple pie soon.